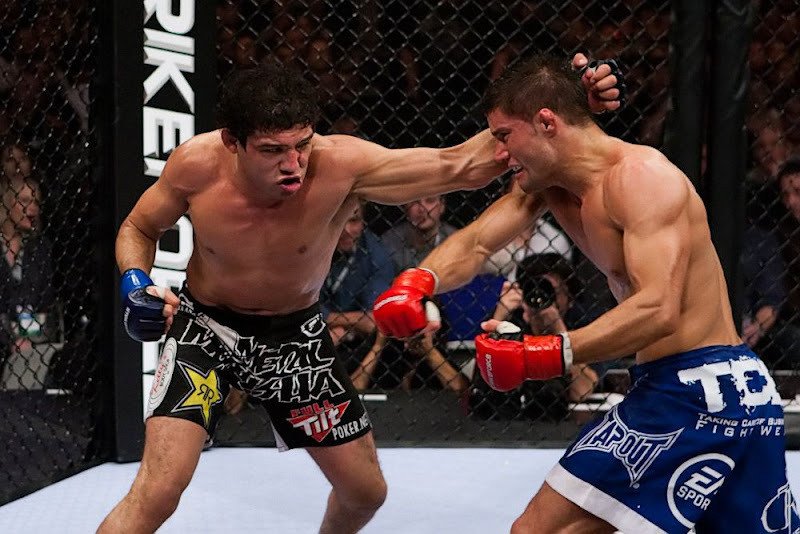 Lightweight Championship bout: Gilbert Melendez defeated Josh Thomson via unanimous decision (48-47, 49-46, 49-46) to unify the Strikeforce Lightweight Championship. Thomson got the better of the exchanges in the first round, 10-9. Thomson showed great poise and accuracy. Melendez got the better of the exchanges in the 2nd with some hard shots dropping Thomson a few times. In the 3rd round Thomson's assertiveness was greatly diminished allowing Melendez to get the better of the exchanges and distance. 10-9 Melendez. The 4th and 5th rounds were pretty even. Melendez may have done enough to take either round, or maybe draws. Either way a third fight is justified.